This one-piece shower bench from Drive Medical adds convenience, comfort and safety to your bathroom. It\'s sleek, slim, one piece design makes it great for storage or for individuals who travel. The handle provides additional safety and stability for the user, and drain holes eliminate water buildup. 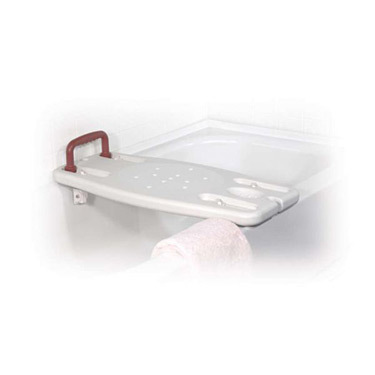 Rubber stops on the underside of the bench will protect your tub and provide a secure and snug fit. Weight capacity: 250 lbs. The product is protected by a Manufacturers limited lifetime warranty.